Marcin Tybura’s grappling scored him a win over Stefan Struve. 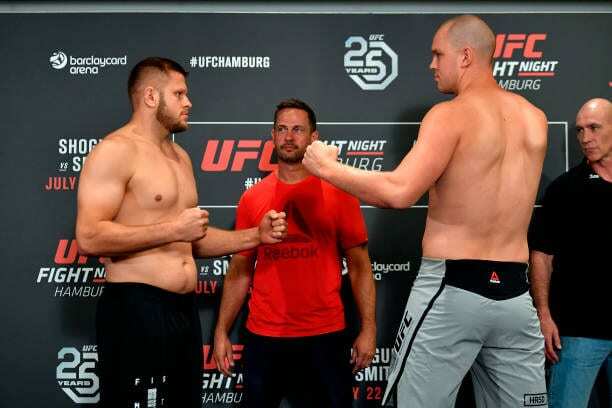 Two heavyweights took the stage of UFC Hamburg for the event’s third main card bout. Tybura and Struve did battle in what felt like a must-win situation for both men. Both fighters were coming off back-to-back losses. An inside leg kick from Tybura got things started. Struve answered with his own leg kick. Tybura scored a takedown with just under one minute into the opening frame. Tybura dropped some punches. Struve tried workng off his back, but nothing doing. Referee Marc Goddard stood both men back up. Struve threw out his jab. He went to the leg kicks. Tybura scored a takedown near the end of the round. Struve went high with a kick in round two, but it was blocked. Tybura was able to dump his opponent back down to the mat. 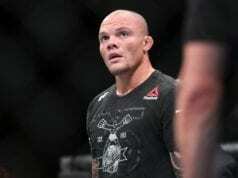 Goddard warned Struve of putting his toes in the fence. Struve was able to get back to his feet. Tybura pushed his opponent against the fence. Tybura slammed Struve down. The round ended with Tybura in top control. A leg kick was there for Tybura in the final frame. He connected with a right hand. A hard outside leg kick was there for Struve. He fired off a combination. Tybura’s takedown attempt was thwarted. He shot in again with Struve’s back against the fence. Once again, Tybura scored a takedown. The final horn sounded with Tybura in control. This was an easy one to score.